A Protecta Sanchoc 2 metre shock absorbing lanyard with webbing. 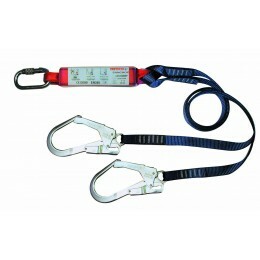 Twin lanyard means the user can remain attached continually when changing work positions. Approved to EN355.